Last month, the Social Weather Station released the results of its survey showing that some 11.7% Filipino families they surveyed experienced hunger in the last three months of 2015. I checked the official statistics and found that some 6% of Filipino families experienced hunger in their last survey in 2012. While the same survey indicated that hunger incidence has decreased, it's still quite surprising considering that the government continue to take pride in the fast economic growth in the country. In fact, the same survey reported that the number of those who experienced involuntary hunger at least once a week (severe hunger) went up from the third quarter figure. Hunger is in fact a global problem.The United Nations reported that 1 in 9 people is chronically undernourished. That is some 800 million people in total and most of this are found in developing countries. 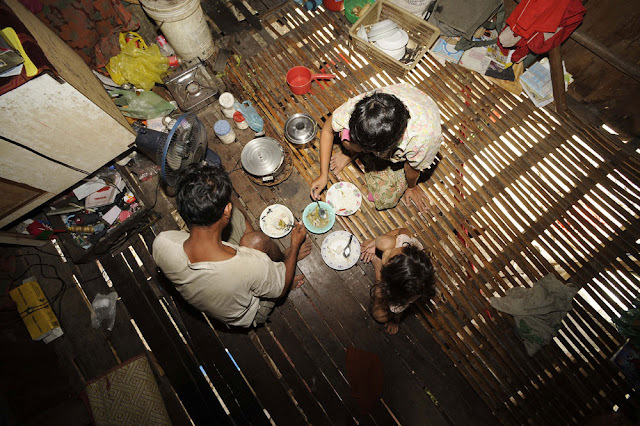 The highest number of hungry people are in Asia, accounting for two-thirds of the total. It's good to know that world leaders have formally agreed to tackle hunger at it roots. They adopted the 2030 Agenda for Sustainable Development last September 2015 which includes 17 global goals to end poverty, protect the planet, and ensure prosperity for all. Each goal has specific targets to be achieved over the next 15 years. Below is a diagram of the five objectives of the Zero Hunger Challenge.